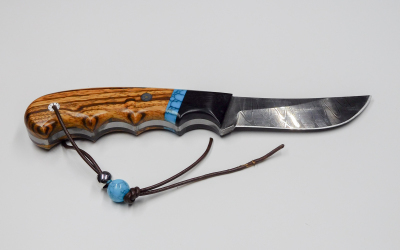 Every knife that I make is handcrafted with my committment to high quality and user satisfaction. I use only the highest quality materials. 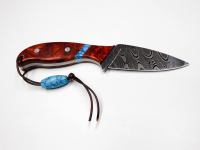 ​My committment to fine craftsmanship can be seen by my attention to every detail in each one of my knives. 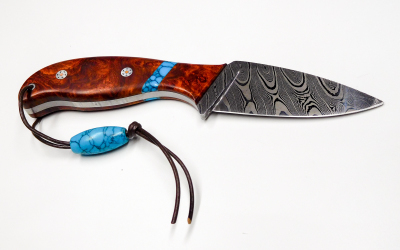 I specialize in 3 to 4 inch Artistic Damascus fixed blades. 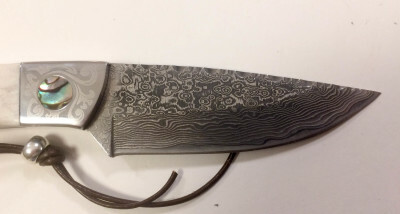 I make many full-tang utility, hunting, fishing, camping, and tactical knives with ​​damascus steel blades. Longer blades are available upon request. Several full-tang polished stainless steel and special design blades are also available in drop point, clip point and lift point. ​You can choose ​​damascus steel or polished stainless steel. You can find the exact knife to fit your wants and needs. ​​​​My knives are real collectibles for the serious knife collector. ​PO Box 910, Boulder, CO 80306, United States of America.